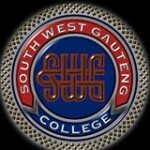 SWGC is an FET College in Gauteng, operating under the auspices of the DHET, offering quality vocational education programmes. Indeed, it is [email protected] Starting from 2007, the public FET colleges have been offering a new three-year Further Education and Training curriculum, which culminates in the awarding of the National Certificate (Vocational) [NC(V)] to learners. This qualification is opening two doors to the successful learners. Welcome to South West Gauteng College! To be the benchmark FET College in the provision of quality Education and Training in South Africa. To innovatively mobilize all College resources to ensure excellence in our delivery and be ISO consistent in our service. South West Gauteng College is a public Further Education and Training institution operating under the auspices of the Department of Higher Education and Training (DHET) and the Gauteng Department of Education (GDE) in terms of the Further Education and Training College Act, Act No. 16 of 2006. The college is accredited by Umalusi and several Sector Education and Training Authorities (Seta's) to offer education and training, mostly in the FET band (NQF level 2 to 4). Some programmes are offered in the Higher Education band i.e. the N4 to N6 level. Starting from 2007, the public FET colleges have been offering a new three-year Further Education and Training curriculum, which culminates in the awarding of the National Certificate (Vocational) [NC(V)] to learners. This qualification is opening two doors to the successful learners. Since their education will have had a deliberate vocational slant, the students completing the NC(V) Level 4 qualification are able to enter the job market. The first cohort of NC(V) graduates came out at the end of 2009 and was received well by economy.